This was a back-to-back rate cut by the new governor-headed committee. 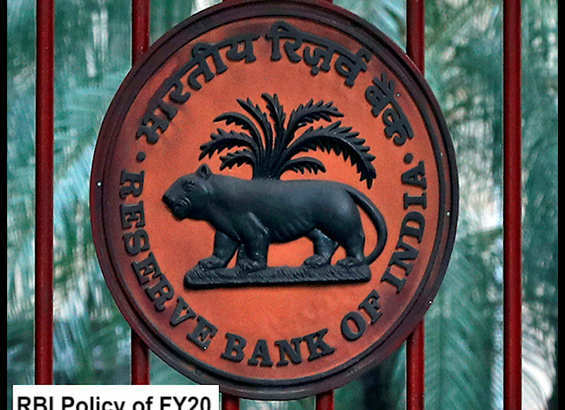 NEW DELHI: RBI's monetary policy committee (MPC), led by Governor Shaktikanta Das, on Thursday announced a 25 basis points cut in the short-term lending rate, also known as repo or repurchase rate, in its first bi-monthly rate review of financial year 2019-20. The repo rate now stands at 6 per cent. This was the second back-to-back rate cut by the six-member MPC ever since Das was appointed Governor. The move made India the only country in Asia to have cut interest rates twice in three months. “The outlook for fuel prices remain hazy. Fiscal situation at the government level needs a close monitoring. We need to make private investment a priority,” Das said in a post-policy media interaction. MPC voted 4:2 in favour of the rate cut. Pami Dua, Ravindra Dholakia, Michael Debabrata Patra and Shaktikanta Das voted in favour of the decision to reduce the policy repo rate. Chetan Ghate and Viral Acharya voted to keep the policy rate unchanged. “GDP in the first half of FY20 may stay in 6.8-7.1 per cent range while the same may jump to 7.3-7.4 per cent in the second half,” the RBI said in a press release. Consumer price inflation was seen at 2.9-3 per cent in the first six months of FY20, below the RBI’s comfort zone of 4 per cent. The central bank sees inflation rising to 3.5-3.8 per cent in the second half, with risks evenly balanced. The rate cut was in line with analysts projections in an ET Now survey, where 90 per cent of the respondents hoped for a 25-basis point rate cut, while the rest has forecast status quo. India's retail inflation for January-February averaged at 2.3 per cent, lower than RBI's inflation forecast of 2.8 per cent for March quarter. Domestic equity benchmark was benign in its reaction to the RBI move. BSE Sensex traded 50 points down at 38,820. The rupee extended its weakness and was down 43 paise at 68.87. The 10-year bond yield stood at 7.3, up 0.4 per cent. The tightness in liquidity was visible in high credit-deposit ratios and elevated corporate bond spreads. “The RBI has adopted a very sensible and pragmatic approach. It took cognizance of the likelihood or potential for inflationary pressures emerging from food prices and fuel prices , and also fiscal pressures from the large government borrowing program,” said Joseph Thomas, Head Research- Emkay Wealth Management. RBI’s intent of supporting economic growth under Governor Shaktikanta Das, with inflation under control, is evident, said Amar Ambani, President & Head of Research at YES Securities. Ahead of RBI policy outcome, Ambani however, felt RBI should focus solely on addressing the liquidity situation in the economy. 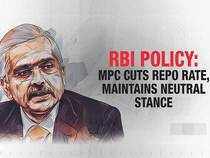 MPC voted 5-1 to keep stance unchanged at 'neutral'. Chetan Ghate, Pami Dua, Michael Debabrata Patra, Viral Acharya and Shri Shaktikanta Das voted in favour of the decision to maintain the neutral stance of monetary policy. Ravindra Dholakia voted to change the stance from neutral to accommodative. The minutes of the MPC’s meeting will be published by April 18. The next meeting is scheduled from June 3 to 6.